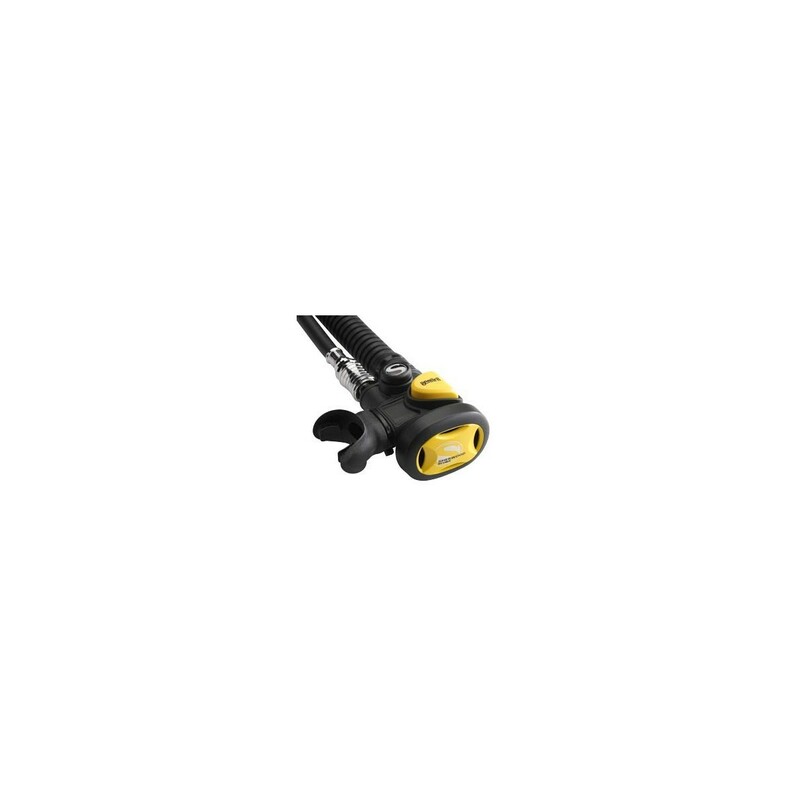 The Sherwood Gemini gives you exceptional breathing performance without any in-water adjustments required. Made with durable materials, the Gemini gives you superior performance that you would expect from a primary regulator. The Gemini replaces the conventional BC power inflator and backup second stage regulator. 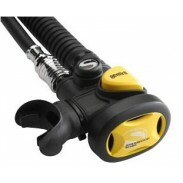 With this two-in-one breathing device, an extra hose is eliminated, giving you a less cumbersome dive. The power inflation, oral inflation, and exhaust trim valve are designed to remain similar to standard BC inflators, so you are already familiar with the Gemini`s operating system. When you`re taught how to dive you are given practice in buoyancy control more than any other skill. Once you start to dive every time you go underwater, fin the reef, or surface you use buoyancy control. All this time your octopus second stage regulator hangs un-used and out of mind. When a real life out-of-air situation occurs, the stress and anxiety mounts, and you find yourself fumbling for a piece of equipment you never use the Octopus! Combining your inflator devise (that you use on every dive) with your octopus Regulator assures your ability to react properly when an out-of-air emergency occurs. Be a safe diver with the Gemini Breathable Inflator. The Gemini comes equipped with an Owner`s Manual; a 3/8" Threaded High-Flow Quick-Disconnect Hose and is covered by a Limited Lifetime Warranty.